Hello and welcome to my post about the best coffee brewers that you can buy that aren’t made by Keurig. And, I didn’t want to just review some non Keurig coffee machines- which is what many other reviewers seem to be doing. Instead my post compares four different non Keurig brewers with their most similar Keurig machine. I just thought that this makes more sense for you, the reader because it gives you a much better understanding. After all, it is pointless buying a Keurig alternative if after a quick comparison you realise that the Keurig is a better brewer after all. Below I go into detail about what each brewer has to offer and how they compare. Hopefully, this will help make your shopping decision a little bit easier. Alternatively, feel free to use our navigation bar to jump right on down to the sections you care about most. Both of these machines brew single cups and carafes of coffee but the manner in which they do it is slightly different. The Keurig machine brews an impressive 10 different sizes of cup, mug or carafe of coffee. As long as you have enough water in the reservoir, you select the specific size that you want to brew via the menu. I describe in more detail about how the Keurig uses pods in a later section. 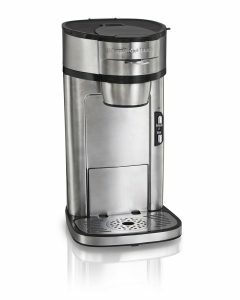 The Hamilton Beach machine can also brew a single cup of coffee or a pot of coffee. However, the exact size of the cup or pot that you want is dictated only by how much water you place in the water reservoir for the single serve part or for the carafe part of the machine. Both the K575 and the 49980A have an energy saver function. For the K575, this option can be selected from the menu and by enabling it the brewer will turn off when not in use. The Hamilton Beach device will automatically shut off 2 hours after not being active. This is the ability at the press of a button to brew a stronger cup of coffee. And both of these models have this function. People who own coffee makers, don’t just drink coffee. A hot water only function heats up a specific amount of hot water that can be used for a cup of tea or a bowl of porridge. It is easier to do this with the K575 because you just press a button and select the amount of hot water you want. It is slightly more difficult with the 49980A. Fill either the single serve reservoir or the reservoir for the pot with the amount of hot water that you want. Remove the filter. And then press the “start” button. A coffee maker that is programmable can be set to turn on or off at any point within the next 24 hours and it can then start to brew a cup or a pot of coffee. Both the K575 and the Hamilton Beach 49980A machines have this function. To many people, this is a marvellous feature to help make our morning routines easier. But to me, I use it to make the end of a day easier. And I really appreciate a coffee when I come home after a difficult day at work. Part of modern life is that we demand coffee not just when we are at home or at work but also when we are on the move. And this mobile and go getting culture has led to a new type of cup, the travel mug. Both of these models recognise the importance of catering to the needs of these over sized cups and so they come with a removable drip tray. Now it is time to stop looking at the ways in which these two machines are similar and look at the ways in which they are different. The chart below displays the biggest differences between the K575 and the Hamilton Beach 49980A. In terms of dimensions, the Hamilton Beach model is slightly larger than the Keurig machine. The 49980A is a fraction of an inch taller and a couple of inches wider than the K575- although it isn’t as deep as the K575. At the start of this article I mentioned that these two coffee makers were similar because they brew single cups of coffee and pots of coffee but that they were different in how they did it. The K575 uses K Cups and K Carafes which are plastic capsules that contain ground coffee. If you want a cup of coffee you can use a K Cup pod for any size of serving up to 12 oz. If you fancy brewing 22, 26 or 30 ounces of coffee then you should be using a K Carafe pod. K Cups and K Carafes are incredibly convenient because of how easy they are to use. Any they come in an impressive range of choices. Their main disadvantage is that they are very expensive. This coffee maker is slightly more flexible because you can make a single cup or pot of coffee using your own choice of coffee grounds as well as using “soft” coffee pods, such as Melitta Pods. The K575 has an 80 oz. water reservoir which can be removed to make filling it easier. The 49980A has two reservoirs, neither of which are removable. The reservoir serving the single serve brewer has a capacity of 14 oz and the reservoir for the carafe is 60 oz. Unfortunately, the 49980A doesn’t have a night light. The K575 is controlled via a 2.8″ color touch screen, whereas the Hamilton Beach coffee maker has buttons to control it. The Keurig 575 has 5 different brewing temperatures to choose from, ranging from 182 °F and 197 °F. The 49980A only has one brewing temperature, which cannot be adjusted. The K575 has warning lights that indicate when the water level in the reservoir is too low and when it is time to descale your machine. Unfortunately, the Hamilton Beach machine doesn’t have any warning lights to remind you about the level of water or whether it is time to descale your coffee maker. The K575 can brew a mug of coffee in less than a minute. When it comes to brewing a carafe, I could not find any estimate on the amount of time that would take. The Hamilton Beach brewer takes longer to brew a single cup at around 3 minutes and it takes about 7 minutes to brew a full pot of coffee. The K55 and the Mixpresso have almost identical water reservoirs. The K55 is 48 oz. and the Mixpresso is 45 oz. Both reservoirs are removable, which makes filling them much easier. Both of these coffee makers are controlled by a series of buttons. The K55 has a low water indicator- it is a light that appears on the control panel. The Mixpresso also has a low water indicator which is a light that glows within the water reservoir. Finally in the similarities section, both of these coffee machines have drip trays which can be removed to accommodate larger sized travel mugs. Now let’s take a look at the differences between the Keurig K55 and the Mixpresso. The Keurig Classic is a bigger machine. The K55 brags that a single cup will be ready in less than 1 minute, whereas the Mixpresso is confident that you can drink your coffee within 30 seconds. Both of these coffee makers are compatible with K Cups and My K Cups, the Mixpresso is also compatible with Mixpresso’s own capsules. The K55 has a light which glows when it is time to descale the machine whereas the Mixpresso doesn’t have this feature. Next I want to take a look at two machines that will appeal to any latte fans out there. So, let’s take a look at the Keurig K Cafe and the Nespresso Inissia, which are two of the most popular cappuccino and latte coffee makers. And I think that because these two machines have more differences than similarities, we should start there. Dimensions [H] 12.5" [W] 15.3" [D] 11.7" [H] 12.6" [W] 4.6" [D] 9.1"
These two machines are completely different sizes. Although those measurements don’t include the frother for the Inissia, the size difference is considerable. There is a big difference between the size of the brewed coffee from these two machines. The K Cafe offers four brew sizes, each of which is much bigger than any offered by the Nespresso machine. The K Cafe will produce a coffee that is 6, 8, 10 or 12 oz. Strictly speaking, these coffee are either Americanos or Long Blacks. The K Cafe just heats the water before it makes a latte or cappuccino. It doesn’t create an espresso by forcing the water through the coffee grounds. Many aficionados would say that because of this it doesn’t make a real espresso. However, the Inissia does make a true espresso because it uses a pump to create 19 bars of pressure which help to force the water through the coffee grounds. Because of the technology described above, it will not be a surprise to find out that that the Inissia makes an espresso faster than the K Cafe can make a coffee. The Inissia takes about 30 seconds whereas the K Cafe takes just less than a minute. These coffee makers are compatible with two completely different types of pod coffee. The K Cafe is compatible with K Cup, Keurig’s own line of coffee capsules, with over 400 varieties from a staggering 60 brands. The Inissia is only compatible with the Nespresso range of capsules of which there are sixteen varieties. The K Cafe’s water reservoir is 60 oz, which is more than double the size of the Inissia’s, which is only 24 oz. However, both reservoirs are removable and the include a handle to carry them with. The K Cafe’s reservoir is positioned on the left hand side of the machine, whereas the Inissia’s is positioned at the back of the machine, which makes it harder to remove and replace. The K Cafe has a “shot” button which you can press to get a concentrated or extra strong dose of coffee. Unfortunately, the Nespresso machine does not have a button that can be pressed that will alter the brew strength of the coffee. The last major difference between these coffee makers is that the K Cafe has a light that will illuminate to remind you when it is time to descale your machine. The Keurig and the Breville coffee makers do have a few similarities in that they have some of the same features. But don’t hold your breath. Even though the features are similar, the way in which they operate are completely different! Is this a similarity or a difference? The K Cafe has a frother which is built in whereas the Inissia uses a separate frother, called an Aeroccino. The Aeroccino is mains operated which means that you will need to position it and the Inissia in a location that has two electrical sockets. Whereas, the K Cafe only needs one. Well, the K Cafe has a programmable auto off or energy saving function that can be adjusted over 2 hours. The Inissia has a set energy saver that turns off after 9 minutes of the machine being inactive. Although both of these coffee makers have drip trays, they work slightly differently in order to accommodate larger cups such as travel cups. The K Cafe’s drip tray is removable if need be whereas the Inissia has a drip tray that folds up to get it out of the way. Dimensions [H] 12.1” x [W] 4.5” x [D] 11.3” [H] 8.67" x [W] 6.7" x [D] 8.35"
However, the real selling point of the mini Keurig is width and boy oh boy, is it thin. A wafer thin 4.5″ to be exact. In contrast the Hamilton Beach model is over two inches wider, at 6.7″. The Keurig model, wait for it, is only compatible with K Cups and My K Cups. 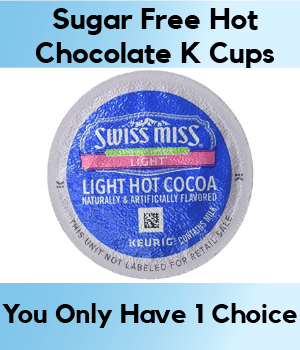 K Cups are the pre filled coffee capsules that come in over 400 varieties and My K Cup is a reusable ground coffee filter that you can fill with your own choice of ground coffee. The One Scoop just uses loose ground coffee. The coffee maker comes with two different size baskets. The smaller basket is suitable for an 8 oz. cup of coffee whereas the larger basket should be used for a 14 oz. mug of coffee. The Mini Plus has a 12 oz. water reservoir that can be removed to make filling it up as easy as possible. The Hamilton Beach model has a 14 oz. reservoir which is not removable. Keurig’s machine has space to store up to 9 K Cup pods in a storage container that fits in the brewer. The One Scoop has no space within it to store loose coffee grounds. The electrical cord on the Mini Plus can be stored within the brewer itself for those times that you have less space or you are on the move. The Hamilton Beach brewer lacks any kind of cord storage. You might be a bit confused that I have put this feature in the “similarities” section when their brew sizes are different. The K Mini can brew any size coffee from 6 to 12 oz. but the One Scoop can brew any size from 8 to 14 oz. And so, even though their capacities are slightly different, both of these coffee makers are similiar because they heat up and use whatever water is in the water reservoir. Both of these coffee brewers allow you to brew a bolder (Hamilton Beach) or stronger (Keurig) cup of coffee. Both of these coffee makers have buttons for controls- there are no touch screens on show here! And there are only a couple of buttons on each machine. Both of these coffee brewers can accommodate travel mugs. The Keurig Mini Plus achieves this by having a removable drip tray whereas the Single Scoop brewer accommodates travel mugs without needing to remove the drip tray. If your career is moving at warp speed towards becoming a senior manager or executive then you don’t need to waste your time on looking for the best small Keurig for a desk. You might want instead to plump straight for this. But for the rest of us, who will be shackled to our desks in a cramped office, finding the right Keurig coffee machine to power us through the day is a must. Why is drinking coffee at work important? I think that it is well known that coffee is one of the most popular workplace drinks but fewer people are aware of the many benefits that drinking coffee can have. And so, let’s quickly go through them! OK. A well known fact. Coffee is a stimulant that can help to keep you alert. Studies have shown that coffee breaks themselves can increase productivity. Did you know that coffee drinkers tend to be happier in their work? that is helps to keep you trim by increasing your metabolic rate. In this review, I compare 5 of the smallest Keurig coffee makers. If all of the desks in all of the offices in all of the world were the same size, then there would be no need for a comparison and everyone should buy Keurig’s smallest model. But, different desks in different offices are different sizes and so are the coffee makers in my comparison. And although they are all on the smaller side, their dimensions do vary quite a bit. I believe that there are at least 7 features that all small Keurig coffee maker needs to have in order to be used on a desk. Width and depth are the most important. So that it takes up as little space as possible because their desk has lots of other items to fit on it. Many of you will buy your own coffee maker for your desk and that means that you will be carrying in from the car. Also, over time you might move from one part of the office to another and so you won’t want to be lugging a heavy item across the office. [b] It can fit a travel mug in it for their lunch break or for their journey home. Because sometimes life becomes busy and stressful whilst you are at work and you cannot always remember to switch a machine off. [a] Storage- Ideally, the power cable needs to be able to be stored neatly for those days or weeks when you won’t be using the coffee machine at all. [b] Size- It needs to be a reasonable size so that it can reach an electrical socket. This is fairly obvious. Most people who work at a desk are situated in large open plan offices which are filled with people working at desks. If you want a coffee maker for your desk, you do not want a machine that is going to make a lot of noise and disturb your co workers who are working around you. And having looked at a wide selection of small coffee makers that are suitable for a desk, I think that there are five more features that only the very best Keurigs have. Who wants to press a button, when you can just touch a screen? We love them on our phones and tablets and so why not on our coffee machines? Touch screens give a coffee maker a nice modern “edge” to them. Are you a coffee junkie who every now and then likes a change? The odd cup of tea perhaps or the occasional “packet” soup? If so, you will really appreciate a hot water on demand function, for those times when you just need our Keurig to provide a cup of hot water. As I mentioned earlier, offices are social places and although you are looking for a Keurig to meet your own needs, every so often you might want to spread the love. Some of the coffee makers in my comparison can brew not just cups of coffee but carafes as well. Is it easier to take a water reservoir to the faucet or to take the water to the coffee machine. Many people like a reservoir that can be removed and taken to the sink to be filled instead of having to fill a jug and then carefully pour the contents into a water reservoir. If at times you fancy a cup of kick with a bit more of a “kick” then look out for a coffee maker that allows you to brew a stronger cup of coffee at the touch of a button. With a width of fewer than 5 inches, the Keurig K Mini Plus is a small, yet stylish coffee maker that will fit in even the smallest spaces. It is 12.1” High (16.8″ with the handle open) x 4.5” Wide x 11.3” Deep. The coffee maker is not too costly but some people may find it a little overpriced compared to its feature set. Judging by the reviews, the product is not bad but not a great one either. It is made of plastic. So, the build quality is nothing out of the ordinary. When viewed from the front, it looks very slim compared to other coffee makers in this price range. The product is available in two color options – black and cardinal red. The K Mini Plus is very simple to use as all you need to make a nice cup of coffee is to push the big silver color button on the top. There is no digital display. Strong brew – If you like to have a more intense cup of coffee, you can press the button labeled strong beside the power button to brew a stronger cup. Removable one cup reservoir – You have to add water each time you want to make coffee. There is no auto-clean function but the removable one cup reservoir makes it pretty easy to clean. Pod storage – If you like portable coffee makers, this is a good choice. It can hold 9 K-Cup pods. Adjustable brew size – You can brew any cup between 6-12oz. All you have to do is adjust the amount of water you pour into the reservoir. It also has a handy 90 seconds auto-off feature. Many people like it because of its sleek and compact design which looks quite attractive. If the most important thing about your new coffee maker is that it must be the smallest one available, buy the K Mini Plus. The Keurig K15 is a compact coffee maker that is great for small spaces. It is 10.8” High x 6.9” Wide x 10.7” Deep. The price of this model varies greatly across the several color options available, which seems a bit strange. There are 6 color options available – Black, Chili Red, Greenery, Jade, Platinum, and True Blue. Judging by the reviews, it is a poor product and not reliable at all. The build quality is average as it is made of plastic and there seems to be several design flaws. Brew size – You can brew any cup size between 6-10 oz. For a bolder brew, you have to use the 6 oz. cup. Water Reservoir – It has a one cup water reservoir for portability. Drip tray – You can remove the drip tray to fit travel mugs of up to 5.2” tall. Automatic Shut Off It also has an automatic turn-off feature that lets you save energy and offers easy cleaning as it holds a full accidental brew. A common complaint most people have about this product is its durability. The product starts to malfunction even after a few uses. Also, it also has a very short power cable. The only redeeming aspect of this model is that it makes a hot cup of coffee in less than 2 minutes when it works. Mmm…I am not sure that there is one. The K15 is not a great coffee maker and so unless you have you heart set on buying the K15 and not anything else, choose something different. In terms of width, the K250 comes in at an impressive third place. At only 9″ wide it is certainly impressive- although it is 15″ deep and so that is something to bear in mind. But this coffee maker is packed full of features. The price of this model is a little high when compared to other models but reasonable because of its features. Judging by the reviews, it is a good product. People like it because of its touchscreen display and its ability to brew multiple K-Cup pods, K-Mug pods, and K-Carafe pods. A frequent complaint people have about this model is the lack of an auto-off feature. The build quality of the product is nothing special as it is made of plastic. However, it is a little different in design when compared to other coffee makers with similar feature set and price. The water reservoir on this model is on the back instead of being on the side. This lends it a cool look. You can choose from the following color options – Black, Imperial Red, Oasis, Peacock Blue, Plum Grey, Sandy Pearl, and Turquoise. Multiple Brew Size – It can brew 4, 6, 8, 10 oz. K-Cup pods, 12-16 oz. K-Mug pods and 22-30 oz. K-Carafe pods. Touchscreen Display – It has a 2-inch black and white touchscreen display for easy option selection. Strength Control – You can control the strength of your brew to have a bolder cup. Removable Water Reservoir – It has a 40 oz. removable water reservoir that lets you brew 4+ cup of coffee before having to refill it. Hot Water Dispenser – You can dispense hot water even without a pod. All you have to do is open and close the brewer handle. The Keurig K250 is a perfect buy for a coffee drinker who has a little more space on their desk and wants a coffee maker with more features! When compared to other Keurig coffee makers with a similar feature set, this model is priced almost the same. Judging by the reviews, this is a good product with a few drawbacks. People like it because despite being a mid-range k-cup machine, it can brew multiple k-cup sizes. It can also accommodate travel mugs up to 7.4 inches tall. Some people claim that it has a design flaw because this model keeps failing after 3-6 months even after replacement. This model is made of plastic and has no design edge over similar models. It is available in the following color options – Matte Black, Matte Navy, Matte White, and Vintage Red. Multiple Brew Size – It supports popular brew sizes such as 6, 8, 10, 12 oz. Strong Brew – This feature lets you brew a stronger cup of coffee. Large Removable Water Reservoir – It has a large 52 oz. removable water reservoir. Brewer Maintenance Reminder – It has a descaling reminder so that you know when it’s time to remove built-up calcium deposits. Simple Button Controls – It has no digital display but has simple button controls so that you have no problem selecting your desired brew size. Programmable Auto-Off – It also has a 2-hour programmable auto-off feature. If you like a simple coffee maker that has a large water reservoir (52 oz.) and a strong brew option, think about buying the K Select. The K55 is the “classic” coffee maker from Keurig. It is 13.3” High (17.6” when open) x 10.1” Wide x 13.2” Deep. It is double the width of the K Mini, which is a lot more space taken up on your desk. The price of the product is average – not too costly but not cheap either. It could have been priced more aggressively. Judging by the reviews, it is a decent product and is very popular. However, due to its build quality and design, it can be a hit or miss. Many people claim that the K55 makes great coffee but it is unreliable as it doesn’t work fine consistently. The product is available in two color options – Black and Rhubarb. It is made of plastic just like any other machine in this price range. So there is really nothing special about it. Brew size – You can brew multiple K-Cup sizes – 6, 8 or 10 oz. In order to achieve the strongest brew, you have to use the 6 oz. brew size. Large removable water reservoir – It has a large and easy to fill 48 oz. removable water reservoir that will let you brew 6+ cups of coffee before having to refill. Thus, it will save you some time. Descaling Indicator– Every coffee maker should be descaled in order to remove any calcium deposits and keep it in good working order. The Keurig K55 provides a “gentle” reminder. Auto-off – This model has a 2-hour auto-off feature. What makes the K Classic so attractive is that compared to other coffee makers in my comparison it is priced very competitively and that it is one of Keurig’s most loved coffee makers. K-Select vs K250: Which Coffee Machine is Best? When it comes to buying a new coffee making machine, you really do need to take a look around and make sure that you find the right coffee maker for your needs. While some people need something small and compact, others don’t mind something a bit bigger. Some go for a strong flavour, while others aren’t too fussed about the taste. 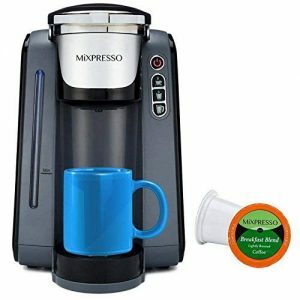 Here, I am going to give you a comparison of two of the most popular coffee makers on the market, with the Keurig K-Select and the Keurig K250, giving you a better insight into what you can expect from each machine, making it easier for you to decide which out of the two would be best for you. Now, with this comparison, I am going to break both coffee making machines into 2 categories; Differences and Similarities, and then give you a brief explanation of the features within. So, let’s not waste anymore time and dive into the comparison between the K-Select and the K250. Size is always important when it comes to choosing the right coffee machine for you. Some people are very space aware and need something small and compact, while others have space to spare so do not mind the size. Here, the K-Select is slightly shorter but slightly wider than the K250, while the K250 is also slightly deeper and a bit heavier than the K-Select. When it comes to the colors available for these two machines, they both have a variety of different colors to choose from. The Keurig K-Select is available in Black, White, Navy or Red, while the K250 comes in Black, Red, Oasis, Sandy Pearl, Plum Grey, Peacock Blue, and Turquoise. Meanwhile, when it comes to the design the biggest difference you are going to notice between these two coffee machines is the fact that the K-250 comes with a touchscreen which gives you great control over your coffee. One of the most popular things about a coffee machine today is the fact that most come with an auto-off function. However, while the K-Select does come with a programmable auto-off feature, it seems that the K250 does not have any sort of energy saving feature at all. Having control of how your coffee machine works is also something that has become very popular with coffee buffs recently. Now, while the K-Select does have the buttons to allow you to make certain decisions and adjustments, it is the touchscreen from the K250 which really stands it apart, giving you a much better feeling of control of your brew. Everybody likes a different type of coffee, so pod compatibility is definitely important when it comes to choosing a coffee maker. While the K-Select is only compatible with the K-Cup pods, the K250 takes things to the next level by also being compatible with the K-Carafe, for a bigger and better brew. As for those brew sizes, since the K-Select is only compatible with the K-Cup pods, it means that you are only going to get 6oz., 8oz., 10oz., or 12oz., whereas with the K250 being compatible with the K-Carafe, as well as choosing from 4oz., 6oz., 8oz., and 10oz., you also get the option of 22oz., 26oz., and 30oz., making enough coffee for everyone. The bigger the water reservoir, the more coffee you are going to get before you need to refill it, and this is one of the few areas that the K-Select outdoes the K250. While you are only getting a 40oz. water reservoir with the K250, you are getting a much larger 52oz. water reservoir with the K-Select. Back to form, when it comes to the water reservoir being removable, this is where the K250 takes back control once again, by allowing the user to remove the water reservoir in order to make refilling much easier, Unfortunately the K-Select does not come with such a feature, making the refilling just a little bit more awkward. We all love some added extras when we buy something new and both of these come with some nice little bonuses. The K-Select comes with 6 K-Cup pods, 1 water filter handle, and 1 filter. Meanwhile the K250 comes with 4 K-Cup pods, 1 water filter handle, 2 filters, and a bottle of descaling solution, giving it the slight edge on the K-Select again. The all important category for anyone buying a coffee machine has to be the price and there is a slight difference between the two. As you would expect, due to the fact that the K-Select comes with quite a few less features than the K250, it is quite a little bit cheaper but it depends if you are willing to sacrifice those extra features to save a little bit of money. Brew strength is one of the most important things for any coffee drinker, so having control of the strength of your brew is vital to any coffee making machine. Fortunately, both the K-Select and the K250 allow you to control the strength of your coffee. When you are in a rush or you wake up late for work, you want to be able to get a quick cup of coffee and not have to wait around. Well, both of these coffee machines will have a fresh cup of Joe for you in under a minute. While there are some coffee machines out there today which give you temperature control, neither the K-Select or the K-250 offer this option, which does let them both down a little bit. When you are using a coffee making machine, you are always going to have some slight dripping, which is where the drip tray comes in. Both of these have a removable drip tray, which not only makes it easier to clean but also gives a little extra room for those taller cups you might want to use. Nobody likes getting half way through a fresh cup of coffee being poured, only to discover that they need to refill the water. Luckily both the K250 and the K-Select have a Low Water Indicator, which lets you know to refill the water reservoir before making that next cup of coffee. Touchscreen Control – The touchscreen controls make this stand up against the best coffee machines out there. Pod Sizes – The wide variety of pod sizes allow you to decide just how much or how little coffee you want or need. Removable Reservoir – The fact that you can remove the reservoir makes it so much easier to refill. Small Reservoir – While the reservoir is removable, it is also small which means having to refill it more often. No Auto-Off – The lack of an auto-off feature means that you really do need to make sure you turn it off every single time. Durability – There have been many complaints about the durability of the K250, with some people having to send it back. Large Reservoir – The large water reservoir means you can get much more coffee before having to refill. Auto Feature – Having the programmable auto-off feature means you do not have to worry too much about turning it off. Size – The size of the K-Select makes it perfect for any home kitchen or office break room. When it comes down to it, while the K-Select does have a couple of features that the K250 is missing, and is also a little bit cheaper, it would still be worth your while paying the little bit extra to get the better features that the K250 offers. It really is one of the best coffee making machines for its price range and, while some might argue that it breaks a bit too easily, it still delivers a great tasting cup of Joe. Are you looking for a “back to basics” Keurig single serve coffee machine? Do you like the look of the Keurig K50 and the Keurig K55? How is your research going? Have you read that the K55 is slightly bigger and heavier? And that the K55 is better because it has brew strength? As much as I would love to keep teasing you, the boring truth is that these two machines are identical. They are the same in every single way apart from one. And that is that the K55 comes with some small bonus gifts. And if you read anything different, then it is utter rubbish. To prove it I have created a series of comparison charts that are the most detailed that you will find anywhere. First, let’s start with the most important specifications. Brew Size 6 | 8 | 10 oz. 6 | 8 | 10 oz. As I said, they are identical. Perhaps it shows how easily we are swayed by photos. After all, the product images look different. I will display some more specifications later but there are only so many that you can take at a time. And I don’t want to be too negative about either of these two models as they are great single serve coffee makers. So, let’s take at them in more depth. The Keurig K55 is a coffee making machine that has gone back to basics and has done away with all the fancy gadgets and gimmicks. There is no LED touchscreen, no clock, and no temperature control, all of which are not really needed to make a good cup of Joe. With the K55 doing away with such things, it allows it to be nice and small and compact, with dimensions of only W-10.1 x H-13.3 x D-13.2. This makes it the perfect fit for any kitchen in any home, as well as allowing it to be half the price of some of the other, bigger, more fancy coffee making machines around today. Since there are no additional gadgets that come with the Keurig K50 and K55, it means that it can now be very simple to just set up and go. The entire setup only takes a couple of minutes, while you can have a nice fresh brew poured in around 1 minute, with all K-Pods being compatible with it. The coffee is poured at a temperature of between 193 and 197 degrees fahrenheit. And the brew sizes can 6oz., 8oz., or 10oz. The water tank holds 48 ounces, which allows for multiple cups, and is easily removable, with the water filter being reusable too. If you love a great tasting coffee which is quick and easy to brew, then the Keurig K50 or K55 just might be the machine for you. OK, are you ready for more specifications? See, these two models are identical. When it comes to buying the right coffee machine for you, the most important thing to any coffee enthusiast would have to be the taste. If it does not taste good then there is no point in having it. Sometimes you can find that the cheaper coffee machines out there do not quite brew a good enough quality coffee but that is not the case with the Keurig K55. In fact, there are some who go as far as to suggest that the K55 makes a better cup of coffee than some of the machines that are more than double its price … which brings us to the next point. These two machines are one of the more affordable coffee machines on the market and there is no denying that this coffee maker is great value for money. If you are a genuine coffee lover and you care about the taste and the flavour, it will be difficult to find a coffee machine in the same price range which compares to this. It is durable, it is reliable, and it makes a great tasting cup of Joe. You really can’t go wrong with the money you spend on either of these little machines of joy.